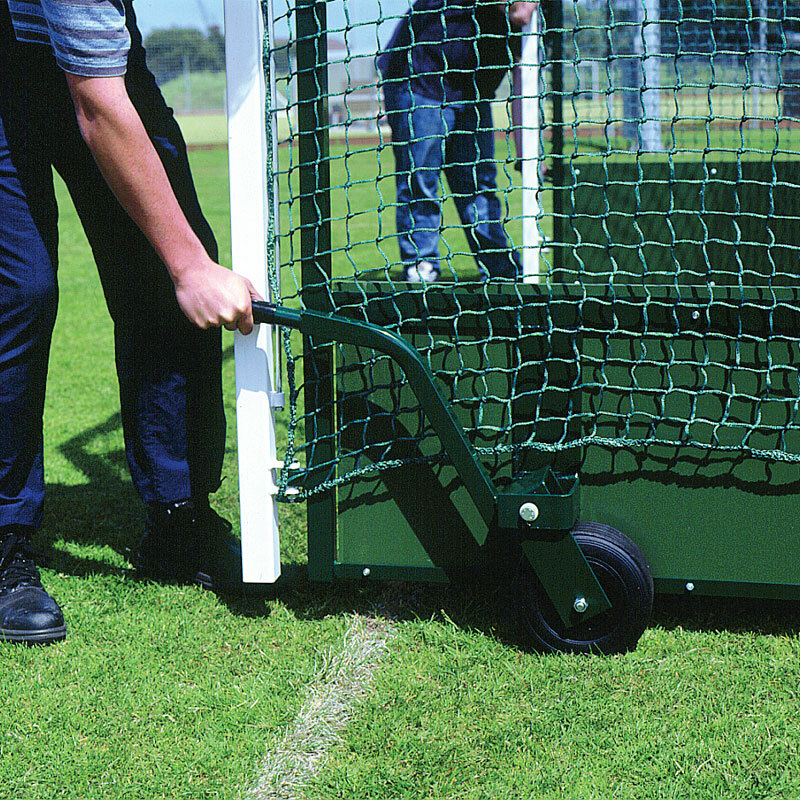 The Harrod Sport ® Outdoor Folding Wheelaway Hockey Goals come with integral wheels. Simply lift out the backboard, engage the wheels and the goal is ready to be moved by two adults. 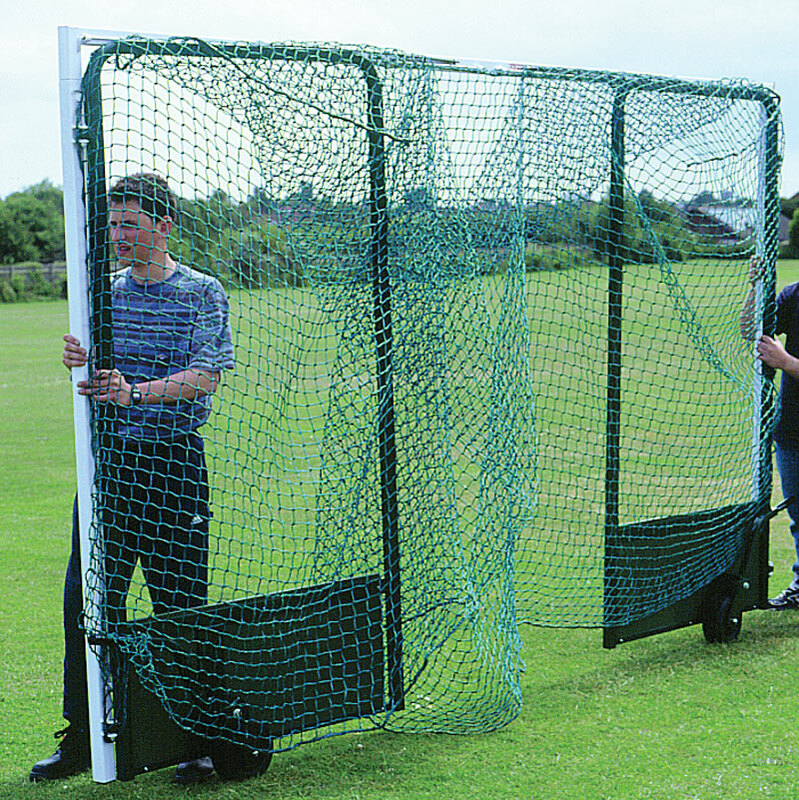 2 x Folding Wheelaway Hockey Goals. 4 x Wheels (2 Left, 2 Right). Crossbars and uprights are made from 50mm square, 2.0mm thick steel. Net retaining rods offer better net fixing. Heavy duty hinged side frame and brace. Robust wheel assembly has an extended handle for ease of use. Large wheels for easy transportation across grass fields by 2 adults. With 460mm height x 18mm thick regulation size wooden backboards. 3.66m x 2.13m (12` x 7`) - 213kg per set. 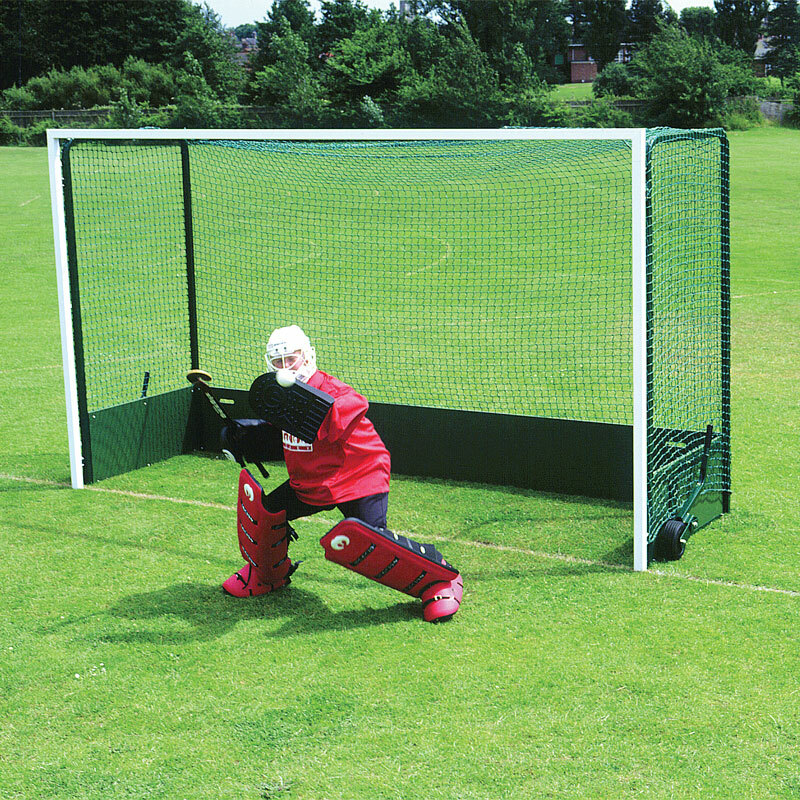 Lost the instructions for your Harrod Sport ® Outdoor Folding Wheelaway Hockey Goals? Please Click Here to download a new copy.